The statement itself is an oxymoron. How can a team that performs consistently over a number of years, be under or over achieving. 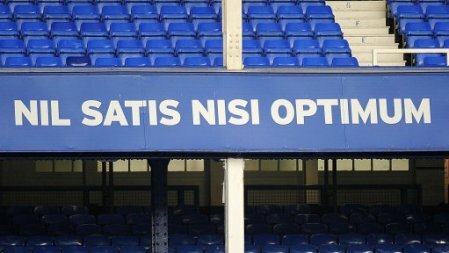 David Moyes may be operating on a budget less than 7 other Premier League teams, but in reality, Everton should be finishing somewhere between 5th and 7th each season and with the Blues currently sitting relatively comfortably in 6th place in the Premier League the Blues are performing on par with many people’s expectations. To suggest otherwise is an insult to the talented squad that David Moyes has assembled during his tenure in charge of Everton. The two Manchester Clubs are currently a class apart from the rest of the Premier League and rightly occupy the top two places for the second season running. The three London clubs that occupy 3rd to 5th in the table, have resources both financially and in terms of squad depth that make it difficult for Everton to challenge over the length of a Premier League season. However, in regards to a first choice 11, Everton can compete on an equal footing with Chelsea, Arsenal and Spurs, with results this season proving that fact. Indeed, only Chelsea have beaten Everton this season, in a fantastically entertaining football match that could have swung either way, before Frank Lampard settled the match with two well taken goals. Therefore, during a season when Everton are fortunate with injuries, there is no reason why Everton shouldn’t push this established order for a place in the top 4 in English football. Nestled in behind Everton in the table are our neighbours from across Stanley Park. Economically there is little comparison between the clubs. Liverpool have the financial backing to spend £35m on a player and then send him out on loan, whereas Everton and David Moyes are forced to spend every pound carefully and seek to unearth unknown gems, such as Seamus Coleman who joined the club for just £60,000. However, the playing staff assembled at Goodison is categorically stronger than Liverpool’s squad and on performance levels, only 3 or 4 of Liverpool’s current team would deserve a place in the Everton line-up. Outside of this top seven in English football, the rest is very average. Liverpool have endured a poor start to the season and yet will secure a very comfortable top seven finish. Everton have performed in a similar manner for three or four years previously, with their post-Christmas form enough to propel them towards the top eight, a position the Blues have achieved as a minimum in each of the last seven seasons. Everton are not over-achieving and with the current squad in place have achieved the very minimum that should be expected. Let’s not forget that Swansea and maybe Wigan, will be celebrating cup success this season, a feat not achieved by Everton for 18 years. It is time for the lazy pundit to re-evaluate their views and actually deliver an insightful opinion on the game of football. Next Post Did Rats score the greatest derby goal of them all?